It is maybe the only boat with this size existing in Greece with glass on its bottom. It has a surface of 16, 5 s-m. on its bottom. More over it has two main propulsion engines and 2 electric generators it meets all safety regulations and it is supervised by the American and the Hellenic Register. It has comfortable spaces for 200 passengers in two decks, an open deck and a lounge with bar. 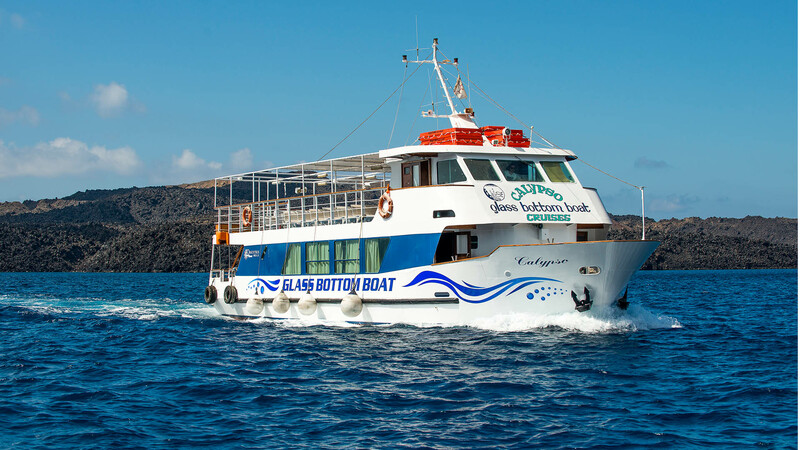 It makes daily scheduled excursions to the volcanic islands but is also available for school groups and work union groups.